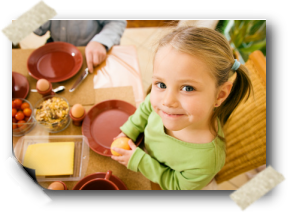 Be a dinner time hero in your home by providing healthy, tasty meals, saving money and spending more time with your family! Dinner by Design is a leading meal prep kitchen, one of the first in the industry, designed to help families save valuable time so they can enjoy healthy, delicious dinners in the comfort of their own home. Each of our kitchens are independently owned and operated. We are proud to provide you with personalized service and attention along with our wonderful meal solutions. It’s the answer to family meal time! Dinner by Design was created out of the need for a fun, easy and better way to get healthy, delicious dinners on the table. Nationally, the time pressures at home and a steady decline in family dinner time means that families are sacrificing nutrition for the quick fix of fast food, leading to a dramatic increase in cases of childhood obesity. The popularity of Dinner by Design has grown rapidly as thousands of customers experience how much fun meal making can be, and how much time they can save. Dinner by Design is different because of our high level of quality and a vast array of services we offer. Unparalleled Customer Service and Flexibility. We can work around your schedule. The first Dinner By Design kitchen opened in 2003. We have seen other meal prep businesses come and go, but our years of experience and our quality products speak for themselves.